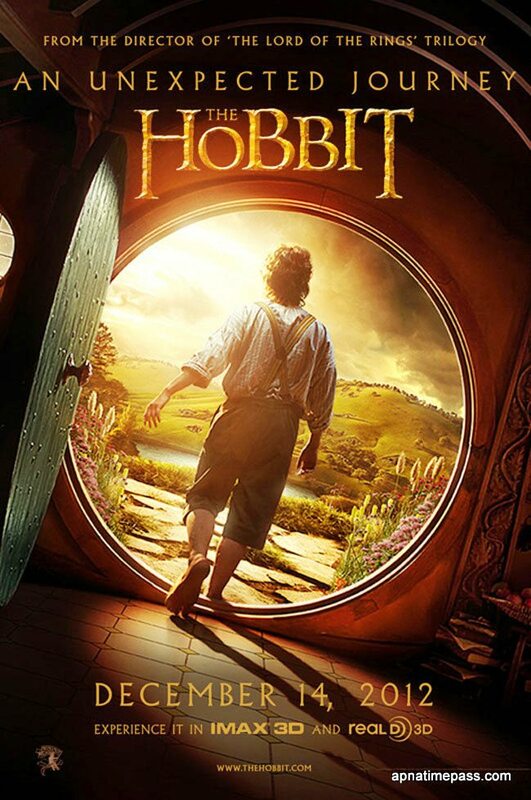 Essential plot rundown: A hobbit goes on an unexpected journey. So, this is arguably one of the most anticipated movies of the year, along side The Avengers and TDKR. Expectations who pretty high for this film, and I think it disappointed a little. It is a good movie and definitely worth watching; but I don't think it was as good as it could have been. And I think the problem comes in when it was made into a trilogy. I have not read the book, but from what I understand, it's not that long. So, the movie feels like it's being stretched thin. There doesn't seem to be enough material for 3 movies. Or, if you really want to make it a trilogy (cuz that kinda makes sense), don't make each movie 3 hours long; 2 hours would suffice. The first installment is too long and kind of boring. But, I do have high hopes for the next two movies, as we will see Smaug and the Battle of 5 Armies. There are also a few other complaints. It felt like to me that there were too many CG characters. 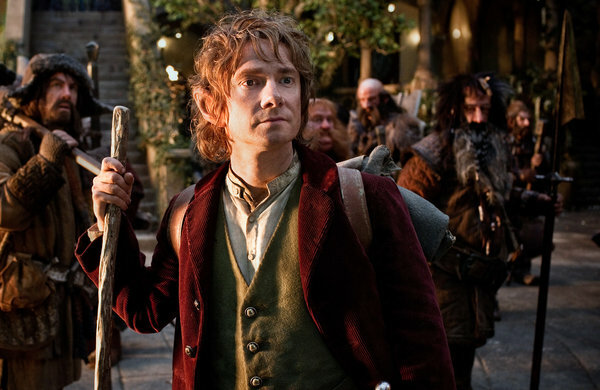 It seems like where in LotR they had a guy in a costume, in The Hobbit they used CGI. And the orcs here look way different than in LotR. Like I said, I have not read any of these books; so as far as I know, there may be different types of orcs. The orcs in The Hobbit are a lot bigger and beefier than the ones on LotR. It had this weird disconnect for me. And the fighting sequences didn't feel very intense. I never felt like the heroes were ever in any real danger. But, I did like Martin Freeman as Bilbo. So overall, it is an ok movie. It seems to suffer from what a lot of superhero franchises do: the first one sets up the world and characters and is kind of slow, while the other ones are more action driven. But, it doesn't really matter what I say; if you're fans of LotR, you'll see this and if you're not, then you won't. Also, I saw this in 2D at 24 fps. I'm hoping to see it in 3D at 48 fps (hfr) when I go back down to school. (There's no place nearby that is showing it). And when I go, I'll update this comparing the two. It’s fun, entertaining, well-acted, and very nostalgic if you loved the old movies but also very long in how it goes through these tangents and never really settles down from it. Still, it’s an alright time at the movies. Nice review.